Donation from Bruce Griffing at LLNL via George Michael via Eugene Miya. 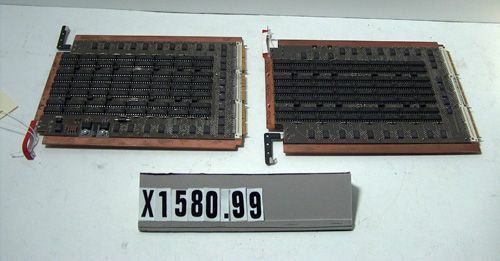 These two circuit boards were part of the I/O subsystem of a depopulated Cray Y-MP at Livermore Labs. 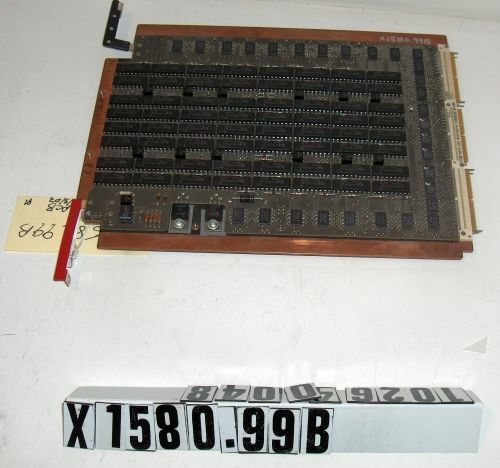 The PCBs employ similar technology to that deployed in the Cray-1, that is two separate circuit boards using through-hole components mounted on a solid copper substrate through which heat is conducted away from the circuitry. The date codes of the ICs here indicate 1988. 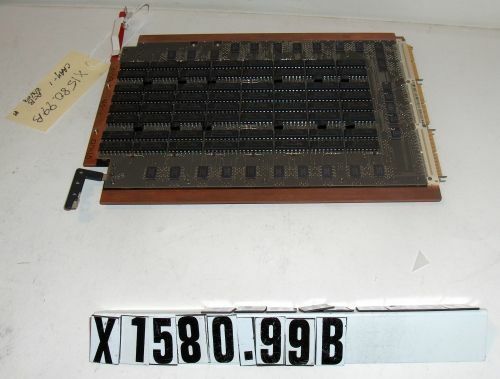 The boards are composed of an array of memory ICs surrounded by 10K MECL technology ICs. This item comprises two pieces.